Home News NCSoft’s Q4 2015 Financials: Everything’s Up! It probably should have been obvious from the optimistic tone set by WildStar’s state of the game address a few days ago, but today we got the confirmation we needed that the game might have been successfully resuscitated. Oh, and everything else related to NCSoft is doing spiffy, too. 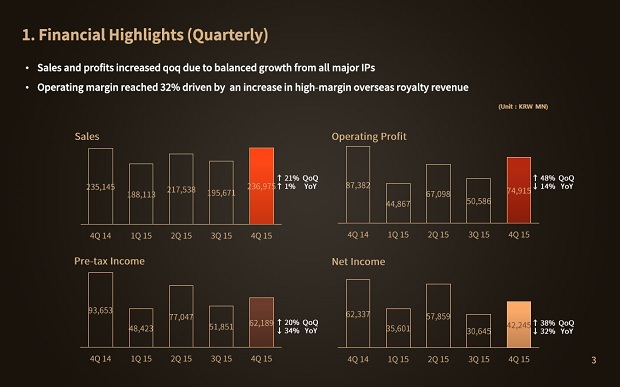 Overall sales of all NCSoft games are up 21% from Q3 2015, with all six primary games seeing significant increases. Thanks to the Heart of Thorns expansion, Guild Wars 2 gets the biggest boost, both in terms of raw sales (37.331 billion KRW, or $31.2 million USD) and percentage increase, up 80% from Q3. 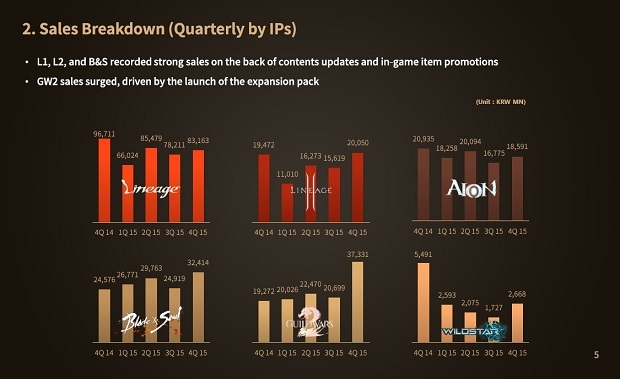 Lineage, Lineage 2, Aion, and Blade & Soul also all reported higher sales. But the big story is WildStar, which had been in decline for five straight quarters and never reported a quarter-over-quarter increase. It went from 1.727 billion KRW ($1.4 million USD) to 2.668 billion KRW ($2.2 million USD), an increase of 54%. It’s not a huge total, but at least it’s a step in the right direction. 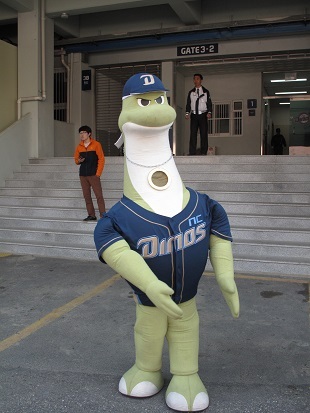 NCSoft owns a baseball team? Well, apparently it does. Go Dinos! They would have had more if they done it after release and not of been stupid about it.